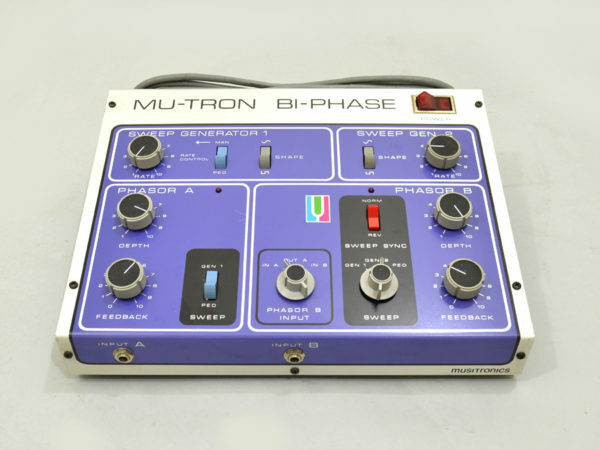 Phaser effects were common in the 1970s, but the Mutron Bi-Phase combined two phase shifting circuits and in its time was the preferred “the phaser-lover's 'phasor'”. It used technology from the old Uni-Vibe, with lamps and photo cells, and featuring two independent sweep generators which could be coupled, each with individual rate controls and the option to choose square or sine waves. One of the most, if not the most lush vintage pedals in existence.